I'm still nursing this annoying sinusitis, but it has gotten better since I finished my five day antibiotics treatment. I hope that I'll feel normal in a couple of days, as spring seem to have sprung here quite early. Today feels like 50 degrees and I don't know if I should be excited or sad since this might mean summer will be freakin' hot. But while my mind ponders about spring and summer, I can't help but miss being on vacation. 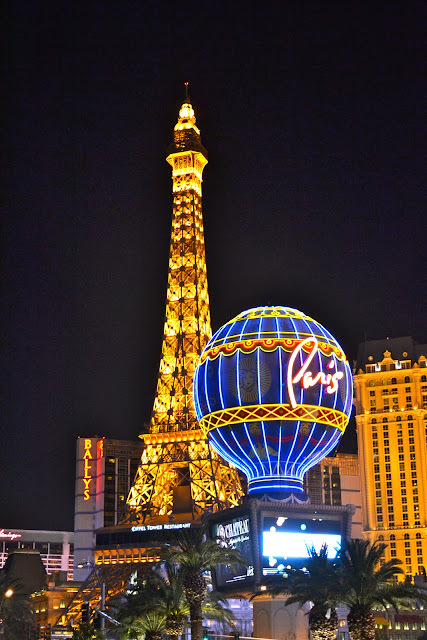 Visiting Vegas recently bestirred my love for travel. Last year, I took several months off from traveling due to my aplastic anemia treatment, but now, I can't stop thinking about exploring another city, state or country. For now, I have places to visit swirling on my mind. Here's a photo I took in Las Vegas this month. 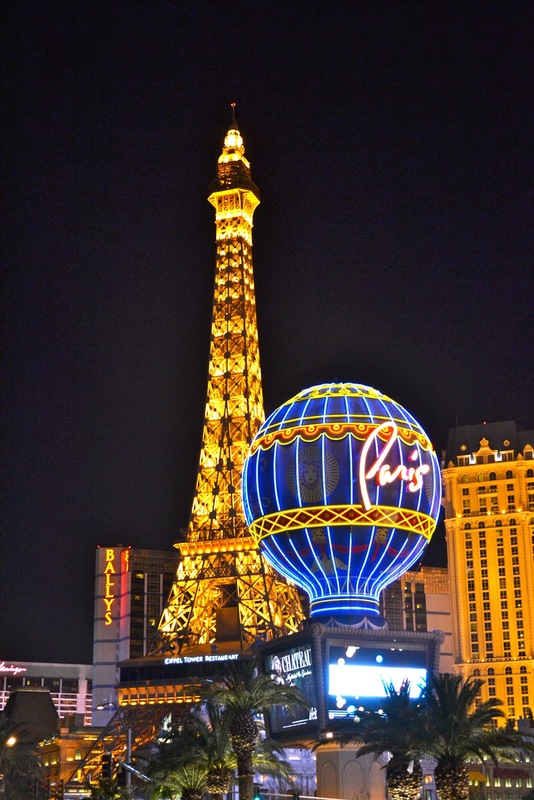 I think photography at night in Vegas is more enticing than at daytime. The place seems dead at daytime anyway and you'd be awed at how the city comes alive at night. Also, I've been in Vegas at several times of the year, and the best seasons to go are in spring and winter. It was really cool and nice when we were there, and it's so much nicer to walk around The Strip without being drenched in sweat. There'll be more photos of Vegas to come. I'm just thinking where to travel to next. I hear you. We had visited Vegas in July and it was about 45C during the day. The nights were not much cooler. We kept going in and out of casinos just to cool down. When we were there during summer, we just stayed at the hotel then walked around at night. Winter has really struck you well..hope your sinusitis will stop.. I know. A lot of people are sick too. Almost half of the office is coughing or experiencing some cold related sickness. I haven't witnessed a Vegas wedding yet. It should be fun and exciting. Yes, their famous fountain show is at the Bellagio. I'll be posting photos of that show too :). February is a good time to go to Vegas, the weather is so much more pleasant and conducive to walking the strip at daytime. It's a fun place for photograph addicts. Very beautiful picture. Pictures always are spectacular during the night time. Methinks. This coughing and cold seem to hit the globe around at the same time hehe. Even at home, we're still recuperating from cough and cold. Take care! That's a lovely shot. I would love to go to Vegas and see that up close.